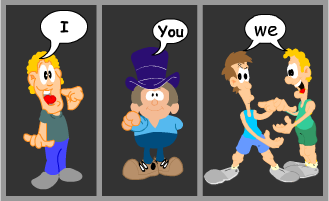 A pronoun is any word that can be used in place of a noun. Johnny runs fast. He has won an Olympic gold. 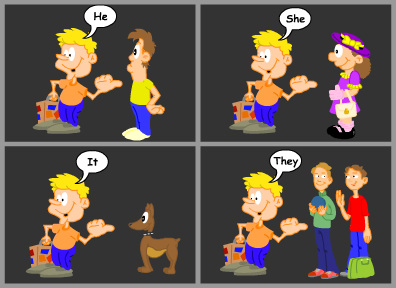 There are different categories of pronouns. Let us begin with one of them—the personal pronoun. These pronouns refer to one of the three persons of English. The persons in English language are classified as first person, second person and third person. The first person refers to the person or persons speaking. The second person refers to the person or persons being spoken to. The third person refers to the person or persons being spoken of. Each of these personal pronouns functions as the subject of a sentence. You are invited to the party. We are listening to some old songs. You all must come for dinner sometime. They are dancing in the rain. Rajat is talking to me.